Background/Info: Cold Spring Records’ time machine brings us back to 1983 when John Balance (Coil), John Gosling (Zos Kia) and Marc Almond (Soft Cell) recorded “A Slow Fade To Total Transparency”. The live mix was done by Peter Christopherson (Throbbing Gristle, Coil). This work brings us back to the original recordings, which have been remastered. It’s a previously unreleased and therefore exclusive release featuring legendary pioneers of the experimental- and industrial movement. Content: The opening cut was recorded live at ‘The Air Gallery’ on August, 24th, 1983. It’s a long and experimental piece (over the 23 minutes), which reflects the true spirit of early –and especially British, experimental music. It’s a kind of sonic documentary; an endless narration (which you also can call a raw-kind of poetry) joined by multiple noises mixed in the background. The last part features more explicit sounds of percussion, metallic noises, glasses ao. We next get a remix –and shorter cut, by Zos Kia, which appears to be an industrial collage. Last, but not least there’s also a live track from Zos Kia (composed together with John Balance) from 1983. 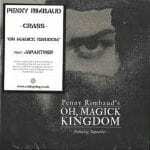 + + + : This record is a part of the experimental- & industrial music history. It brings exceptional artists together who accomplished a truly experimental- and visionary work. The original version reflects the early spirit of this experimental movement while it also brings us back to the first hours of Coil. They later on released the 12” “How To Destroy Angels” (a version of 16”) and the debut album “Scatology”. Coil instantly entered into history and this work is what originally happened before their glorious days. I like the more industrial-like remix by Zos Kia while the live track by Zos Kia also is a noticeable cut. – – – : I think you really have to know what 80s experimental music was all about to fully enjoy this work. If you never heard of Throbbing Gristle, Coil, Z’ev, Non, Monte Cazazza, The Hafler Trio, Last Few Days and co you probably will find this album monotone and without a real interest. Conclusion: Cold Spring Records again had brought a truly sonic legacy and industrial treasure to life! An absolute must have! 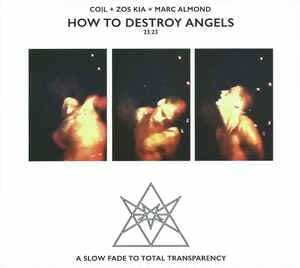 Best songs: “How To Destroy Angels”, “How To destroy Angels – Zos Kia Remix”.